As part of our ongoing summer series looking at best practices for book promotion, Colleen Devine Ellis considers the best approach to developing your community. Publishing has a secret weapon that most other industries don’t: passionate readers who promote books for no reason other than to spread the joy of a good story. These readers also seek out recommendations from others in their book community. Strong communities exist for all types of books and authors and new ones are created constantly. They vary in size, location, and membership but all share the love of reading as their core inspiration. Community endorsement is often the most important part of book promotion, although it may mean different things to different authors. Aside from the perennial bestsellers like Janet Evanovich and James Patterson, there are not many first-time or non-famous authors on the bestseller list. The ones who do make it usually have a community of peers and devoted readers behind them spreading the word about their book. There are lots of ways you can be part of a community, but before discussing how community can help your book, let’s look at book communities you may (or may not) be supporting now as a reader. When was the last time you went to a book signing or discussion? Have you had a conversation about someone else’s work because you are interested in that book and writer and want to spread the word? Do you ever promote other authors, living or dead? Are you part of any book communities, online or in the physical world? As an author you can support your community by promoting other writers. In June author Sherman Alexie promoted California by Edan Lepuckie while appearing on ‘The Colbert Report’, sparking a movement that propelled it to #3 on the NYTs bestseller list. Lepucki was on Colbert on July 21 to celebrate the very successful debut of her novel, inspired in large part by Alexi’s and Colbert’s public recommendation. 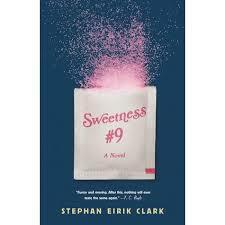 She in turn recommended Sweetness #9 by Stephan Eirik Clark, which was published August 19. The act of promoting others’ books has gotten these authors as much press as their own books, but that’s not why Alexie or Lepucki did it – they genuinely want their own success to lift other writers. You can also connect with your readers in a more personal way. Laurie Notaro self-published The Idiot Girl’s Action Adventure Club, a book of essays based on her own mishaps and exploits, in 2002. She sold it out of the trunk of her car and began collecting stories from readers about their own Idiot Girl adventures. The book did well and Random House picked it up as a paperback original. Eight books later, Laurie is still publishing with RH and collecting stories from her readers, which they often post online. Her community is based around a common enjoyment by both author and fans of sharing truly embarrassing stories with one another. Notaro keeps in touch with her fans frequently via social media, even mailing out Idiot Girl Club membership cards and other book paraphernalia. Her readership has grown over the years partly because she has a genuine connection with readers that makes them feel included. It’s a lot of work and not for everyone, but Notaro shows how an author can create a community and grow it instinctively. If you are publishing with a traditional publisher who offers marketing and publicity services, your publicist is part of a community that includes writers, reviewers, and other media contacts. The common link here is not necessarily your book’s subject matter as much as it is the reputation of the publisher and trust that the book media community has in their publications. The gatekeepers of many prominent communities are booksellers and librarians who play an influential and important role in informing readers about new books and recommending reading through displays, book groups, and social media. If you are looking for the right fit, ask them what communities they belong to and how they get the word out to their customers about books they love. Attending events in person is also a great way to research how book signings and discussions work and what might be a good fit for you when thinking about your own events. There are lots of vibrant literary communities both online and in neighborhood bookstores. What community can you be a part of that feels natural to you, rather than forced? Someplace you want to go, online or in person? Book communities include online sites like Goodreads, Shelfari, Library Thing, and Riffle and also book groups and local book stores which host events. The community you join now may one day be a driving force behind promotion of your future book. 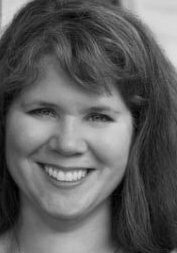 Colleen Devine Ellis, a former publicity manager for Barnes & Noble and the University of Texas Press, runs literary consultant and runs Devine Literary Publicity and Marketing in Austin, Texas.